Welcome to the Wainwright Curling Club' s home site! The Wainwright Curling Club is located at 825 4th Avenue Wainwright Alberta. 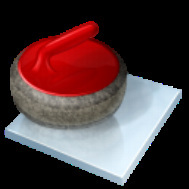 The curling club offers 5 sheets of professional grade ice serving the East central area of Alberta. The Curling Club is looking forward to the 2018-2019 season, with some exciting changes to be offered to the community. It is time to REGISTER your team. You can be a full team or we can add you to one. We will be at the curling rink October 3 & 4th from 5:00 - 7:00 pm for registration. OR you can call Jamie at 780.806.9966 or email wainwrightcurlingclub@gmail.com to register anytime. Our AGM will be Thursday, October 18th at 6:00 pm. We have a complimentary supper with a short meeting to follow. We will be having a draw to give away $100 towards your dues. We are also a GREAT FACILITY for CHRISTMAS PARTIES!! We have Karaoke, Full Bar, Dart Boards, Pool Table and Great Staff with an Awesome Atmosphere. We are pleased to welcome back. Mr. Doug Dalton as our ice maker and we expect to have 5 sheets of ice that are second to none in the Region. Jamie Hodge has come back as our manager and we have added Josh Copeland aswell. He comes from the Derrick Golf & Winter Club. He will be running the leagues, as well as helping with bonspiels and helping Doug with the ice. Thank you for visiting, and we look forward to meeting you on the ice.